National Aboriginal Veterans Day began in Winnipeg in 1994 when Indigenous veterans were not recognized in Remembrance Day activities, and is now celebrated in many communities across Canada. 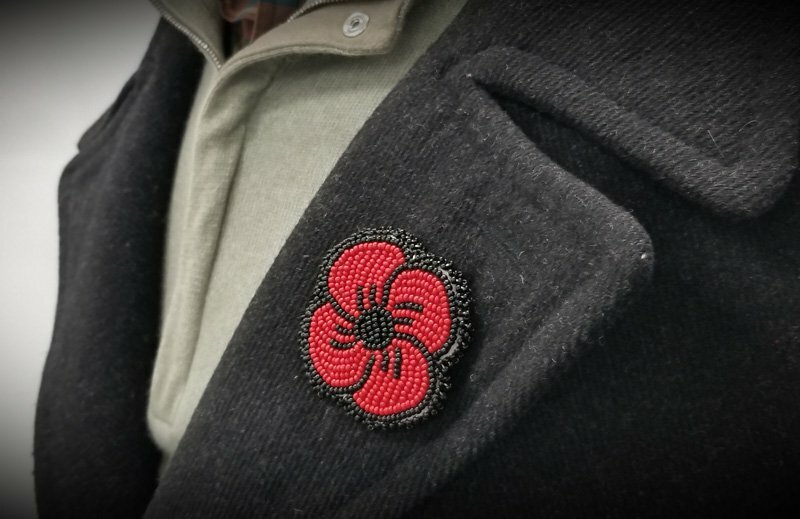 Over 12,000 Indigenous people are estimated to have volunteered in all three wars, including 7,000 First Nations members, and approximately 300 died during these conflicts. First Nations, Inuit and Metis people were not eligible for conscription because they were not citizens of Canada (they were also unable to vote), but many volunteered despite the challenges they faced, including traveling long distances from remote communities to enlist, learning a new language (English), and coping with racism against them. Indigenous people were not allowed to join the Canadian Air Force until 1942 and the Canadian Navy until 1943. Both men and women enlisted, serving as soldiers, nurses and in other roles. Many served with distinction, winning medals for bravery in action. After the war, enlisted Indigenous people returned home to continued discrimination, including in some cases denial of benefits, loss of Indian Status, and expropriation of their land by the government for non-Indigenous veterans. It was only in 1995 that Indigenous veterans were allowed to lay wreaths commemorating their fallen comrades at the National War Memorial in Ottawa. The first monument commemorating the role of Indigenous people during these three wars was dedicated in 2001 in Ottawa. It took until 2003 for the Government of Canada to provide veterans’ benefits to First Nations soldiers who had been denied them in the past, and Metis veterans have never received them. Today, Indigenous people continue to serve in Canada’s armed forces. Right To Play works in partnership with over 85 Indigenous communities and urban organizations across Canada. Right To Play’s Promoting Life skills in Aboriginal Youth (PLAY) program partners with Indigenous communities and urban organizations to train locally-hired Community Mentors to deliver weekly play-based programs that promote healthy living, healthy relationships, education and employability life-skills. Community Mentors are trained and supported by Right To Play staff as they develop programs that are responsive to the individual needs of their community. Since 2010, the PLAY program has expanded from working with two partners to more than 85 across Ontario, Manitoba, Alberta, and British Columbia, reaching over 6,000 children and youth last year.